A central figure of the new wave of German photography that first arrived in the 1970s, Thomas Struth has continued to have an impact on the world of photography with his large-scale museum interiors, portraits, and architectural photography. Struth has emerged as one of the most compelling voices in contemporary art's critique of the subject and the socio-economic order by creating images that are at once visually arresting and subtly political. 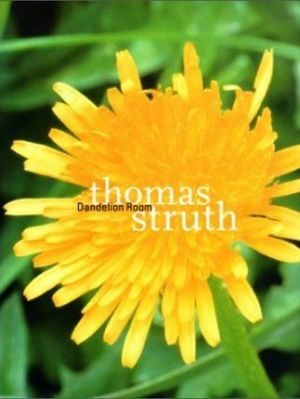 This new monograph presents another facet of Struth's oeuvre, assembling a series of flower and landscape photographs produced for a unique project. In 1991, Struth was commissioned to decorate a new hospital in Winterthur, Switzerland. He decided to photograph one large-scale landscape and additional individual plants and flowers for each of the 37 patient rooms. The flower and plant photographs were to be hung on the wall behind the bed, the landscape on the opposite wall. He took the photographs between 1991 and 1993, in the immediate vicinity of Winterthur and the hospital itself: views out over the Thur Valley and the vineyards in the countryside around Zurich, the edges of forests, country lanes, as well as buds, twigs, leaves and withered blooms from the hospital's own garden. With this project, Struth hoped to bring the captivating environment of the Winterthur area into the interior space of the hospital, connecting patients to the outside world.